The Warwick Valley Central School District has been awarded a $20,000 grant from the Library of Congress to provide teacher training on integrating TPS (Teaching with Primary Sources) into the classroom during the 2016-2017 school year. Members of the Warwick Historical Society Education Team are, from R to L, Mary Ann Knight, librarian Sue Gardner, Sharon Halper, Ivy Jordan-Tulin, Mark Kurtz, and Dr. Richard Hull. Designed to advance a diversified learning environment for faculty and students, the TPS teacher-training program focuses on the use of historical records and is being implemented in collaboration with the Warwick Historical Society (WHS) and the Albert Wisner Public Library. TPS aligns with the district’s new “balanced literacy” approach to reading and writing and will be integrated in lectures, demonstrations, analysis of documents, independent research and group work. A gateway for research with historical records, including those available through the Library of Congress, TPS helps sharpen students’ skills and enthusiasm for history, social studies and the humanities. 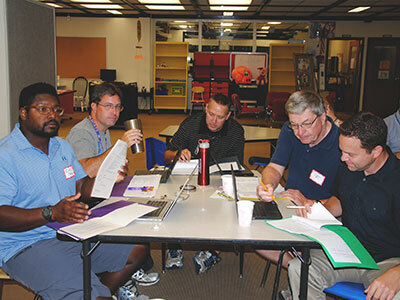 More than thirty teachers and school librarians participated in the first TPS training. 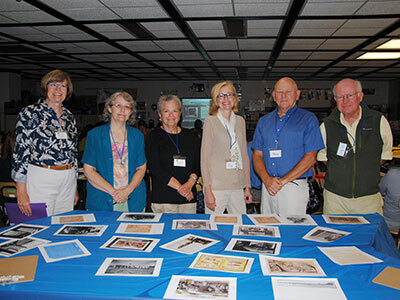 Led by the Warwick Historical Society Education Team, the first of two, day-long TPS trainings was held on Fri., Sept. 2, in the media center of the Warwick Valley Middle School. More than 30 social studies and English teachers and school librarians were introduced to the use of TPS materials and methods across all grade levels, as a way to engage students and advance their writing and communication skills. Throughout the 2016-2017 school year, the WHS Education Team will continue to provide coaching and consulting for individual teachers to further refine their use of TPS. This collaboration will continue beyond the funding cycle. The Warwick Historical Society provides regular programs to Warwick schools, from tours of historical sites to summer camp and conference day trainings, and TPS will continue to be integrated into that schedule.